Hi friends! 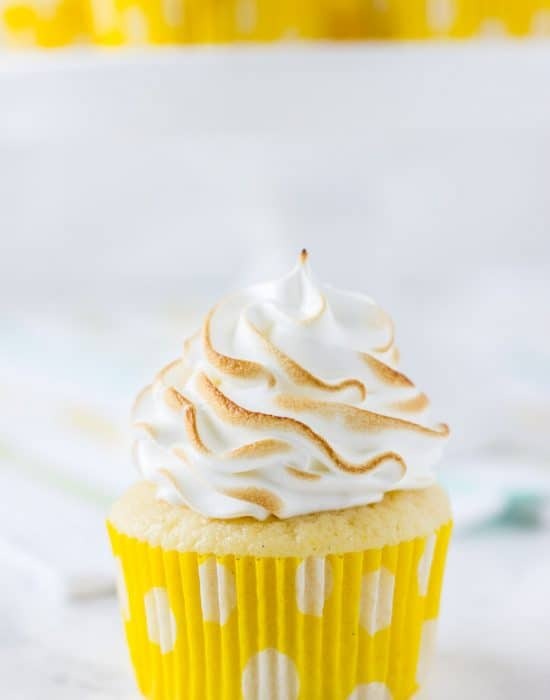 I’m here today with another cupcake recipe for you. 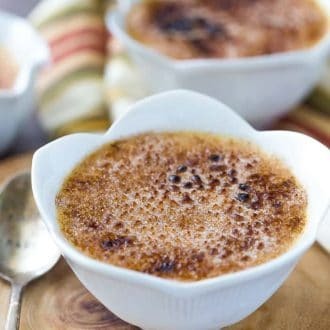 It’s been crazy busy on my end with family obligations and work that I hardly have time to create new recipes. But every now and then I bake up something sweet from a magazine to wind down or to bring to an event. These caramel corn cupcakes came out of my kitchen recently and I was seriously blown away by the simplicity of the flavors but yet incredible cupcake. 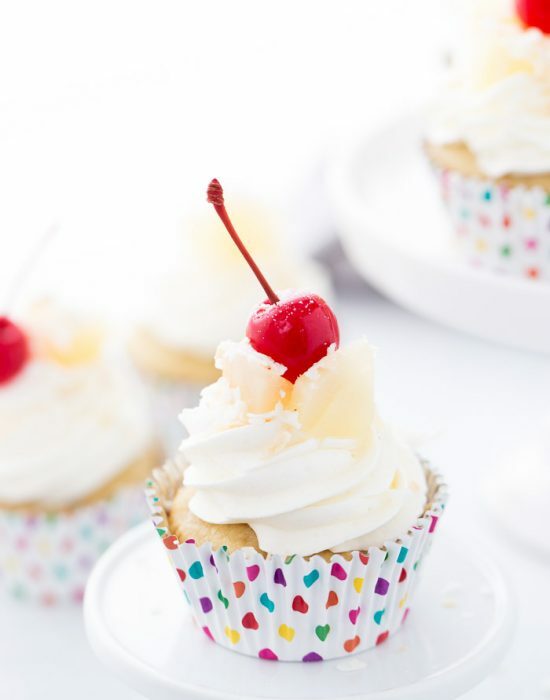 There’s nothing better than a moist delicious cupcake and that’s exactly what these are. The cupcakes were the cover recipe of last month’s Food Network Magazine and it caught my eye. And for once I actually made the recipe. 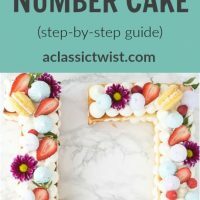 Most times I bookmark and pin recipes but hardly get around to making them. I am sure you do too. But I had a request for cupcakes and these came to mind. 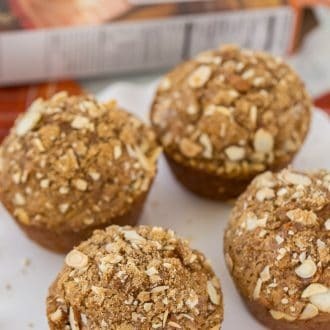 I am so glad I gave them a try as they are now my new favorite fall cupcakes. And that says a lot as I have many good fall cupcake – spiced apple cupcakes with marshmallow frosting, brown sugar cupcakes, and chocolate pumpkin cupcakes. 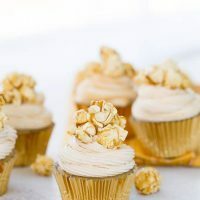 What makes these caramel corn cupcakes special is that they start with a simple browned butter cupcake. The batter is filled with nutty browned butter bits (the BEST kind of bits!) and the flavor that adds is incredible. 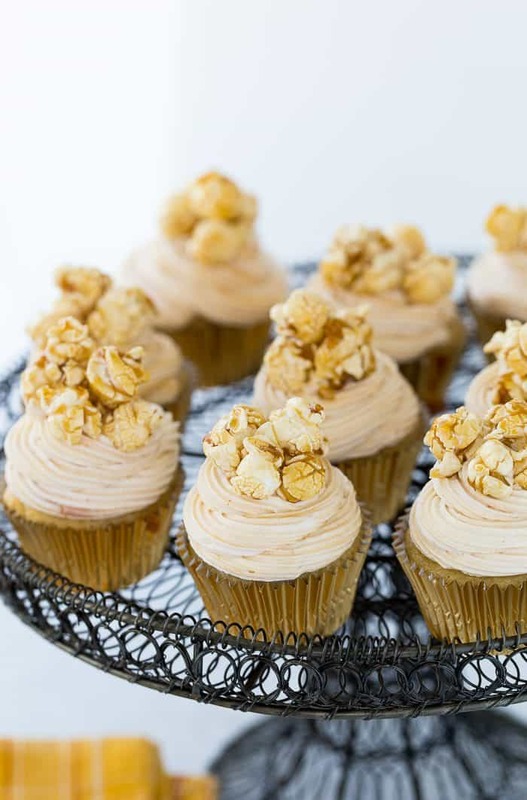 Topped with a sweet caramel frosting, the flavors of caramel corn are shining in these cupcakes. 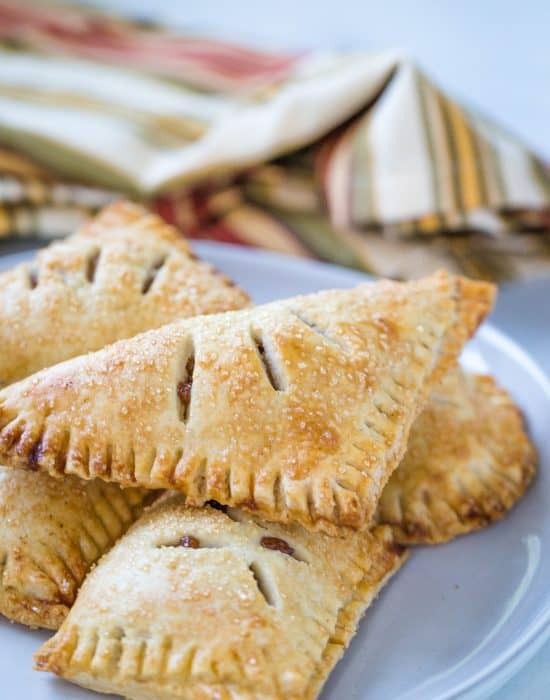 So add these to your fall baking list and even beyond that as they are going to be a go-to for me. 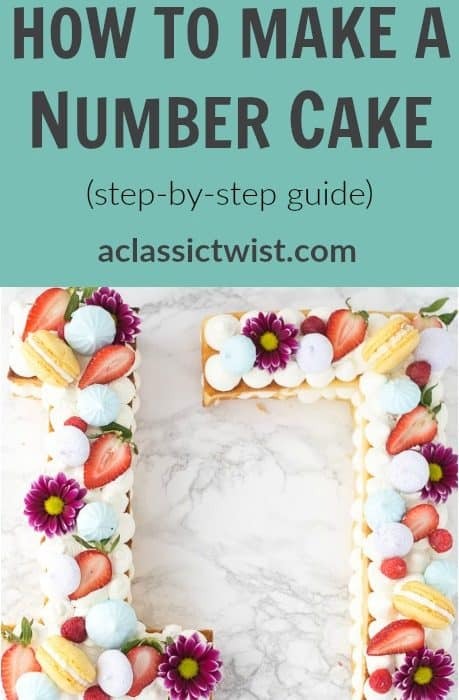 I need to make a cake version and see how that turns out. Stay tuned!! 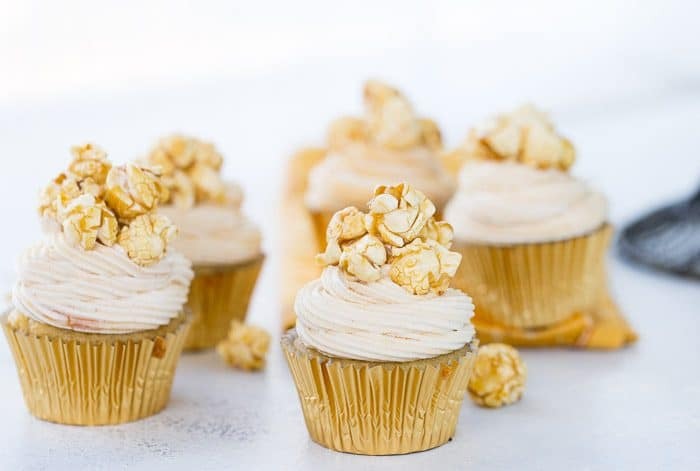 These caramel corn cupcakes are sweet with nutty brown butter cupcakes topped with fluffy caramel frosting. You get all your favorite caramel corn notes. Bake the cupcakes for 18-22 minutes or until a toothpick inserted into the center comes out clean. Let cool completely before frosting. 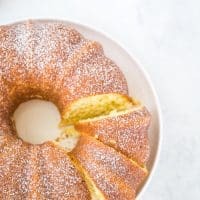 For the frosting, beat the butter and brown sugar on medium-high speed until light and fluffy. 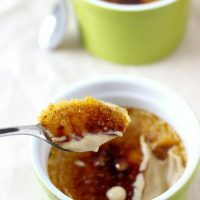 Add the rest of the ingredients (except the caramel) and mix on low speed to combine. 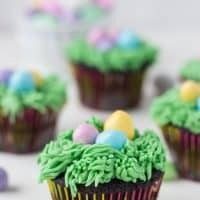 Increase speed and beat frosting until fluffy, about 2-3 minutes. 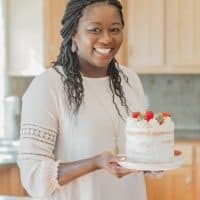 Using a rubber spatula, swirl in the caramel into the frosting. Do not mix so you will have some streaks. Transfer to a piping bag fitted with your favorite tip. Frost cupcakes. i love the sound of caramel corn cupcakes! and i’m guilty of pinning things and then never making them, too. there’s just so many good ideas and so little time! Just too many great ideas – i understand!! Wow, what a delicious idea! I have pinned recipes, boxes and binders of recipes, all of which I never get around to actually making. But I might have to get around to these…they look awesome! 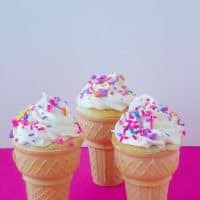 These look so pretty and delicious!! 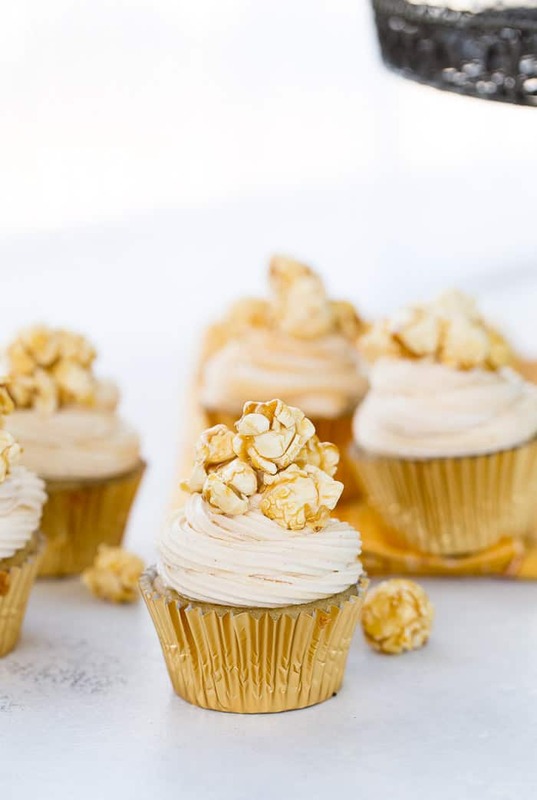 omigosh browned butter cake as the base for these caramel corn cupcakes is soooo smart!! !